Record everything. 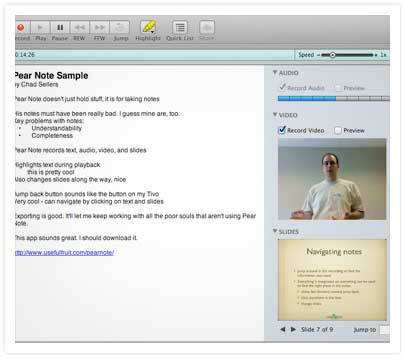 By integrating traditional text notes with audio, video, and slides, Pear Note ensures that you never miss a thing." 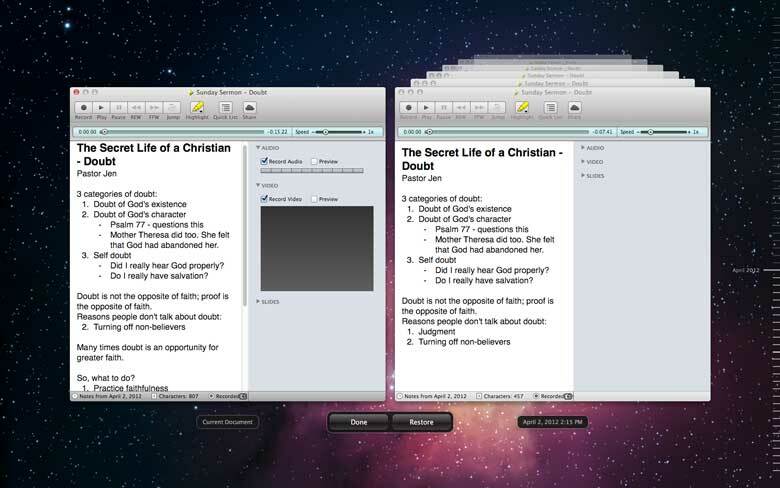 Pear Note lets you navigate to the end of the notes you did take, so you can listen to or watch what was going on when you zoned out and fill in the gaps. 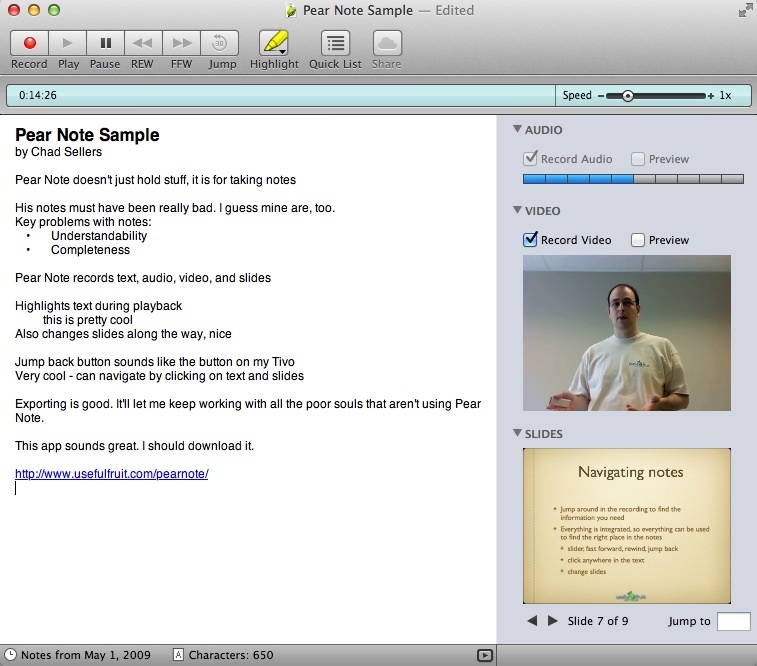 Pear Note supports Auto Save and Versions when running on Mac OS X Lion or later, which means you never have to worry about saving or losing data again. If you find that you lost something, easily browse through history to find what's missing. 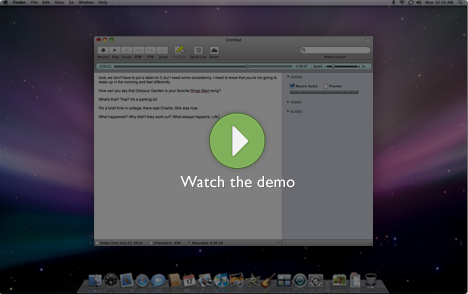 Not only can you jump to anywhere in your recording by using the timeline slider, but you can also use your text notes or slides. 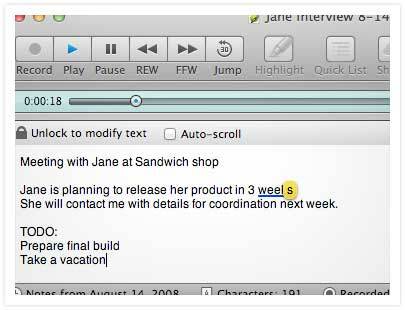 Just click anywhere in the text and playback will jump to the moment you typed that character. Change the slide displayed and playback will jump to the moment you changed to that slide during recording. 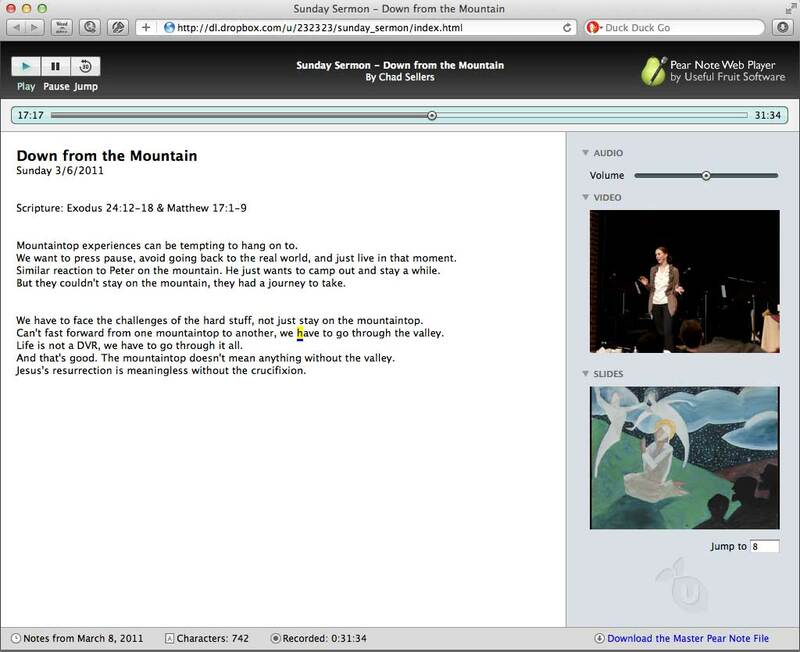 Generate a web version of your notes that anyone with a web browser can view, play, and interact with. 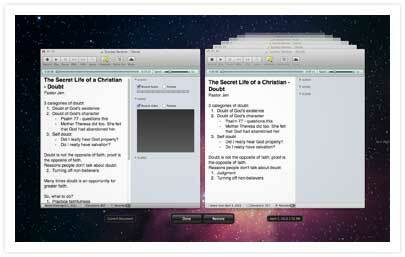 These can be shared via many web services, including Dropbox. 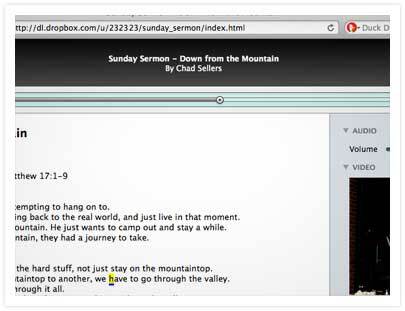 Click the demo above to see a generated web version of a note for yourself.